Waterford Nut Company brings to you supreme quality almonds from efficiently maintained orchards in California. With our experienced and professional growers, we cater to the needs of domestic as well as international customers. We specialize in growing all sizes and categories of almonds that cater to every palate across the world. Our services are rendered to industries, confectioners and retailers. Apart from almond growing, our operation facilities include processing of nuts followed by blanching, roasting, flavoring and cutting. To carry out every task to utmost perfection, our processing plant is equipped with modern technologies and effective quality control amenities. In order to meet the growing demand for almonds in the global market around the year, we have also incorporated cold storage facility. Our dedicated team grows, processes and ships almonds worldwide. All products are duly packed and carefully inspected before shipping. We follow stringent quality practices like Good Manufacturing Practices (GMP), Standard Operating Procedures (SOP) and Hazard Analysis Critical Control Procedures (HACCP). Located in one of the prominent almond producing areas in California, we are conveniently accessible to both growers and buyers. Apart from growing and harvesting almonds, we also procure products from almond growers and handlers throughout California which are cleaned and fumigated before they go for further processing. We propose payment options that meet every grower’s requirements on an individual basis. Remember to get in touch with us whenever you need an efficient handler for your almonds. 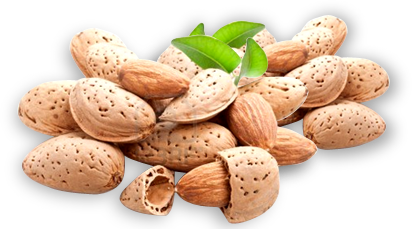 Our team of experts has thorough knowledge in the field of almond growing and processing and can answer all your queries. Contact us today and feel the difference with quality almonds. We are dedicated to provide quality service across the globe. With a growing customer base, we look forward to continuous incorporation of innovative practices to deliver the best.